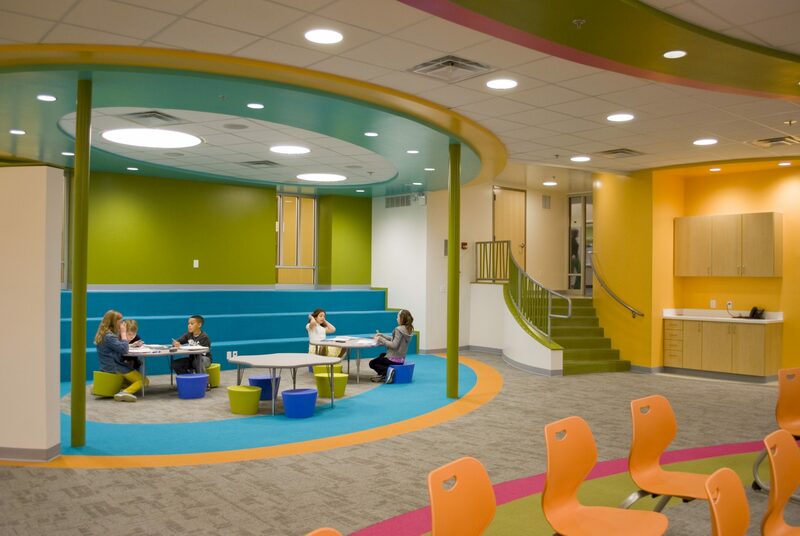 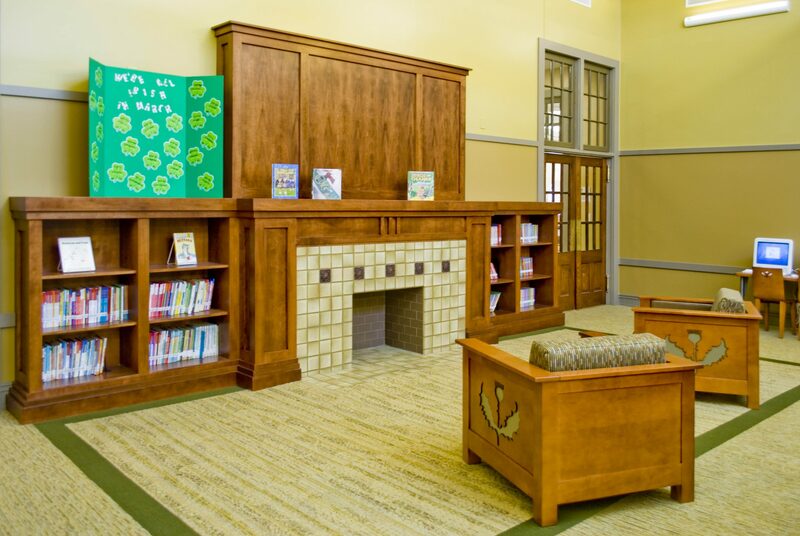 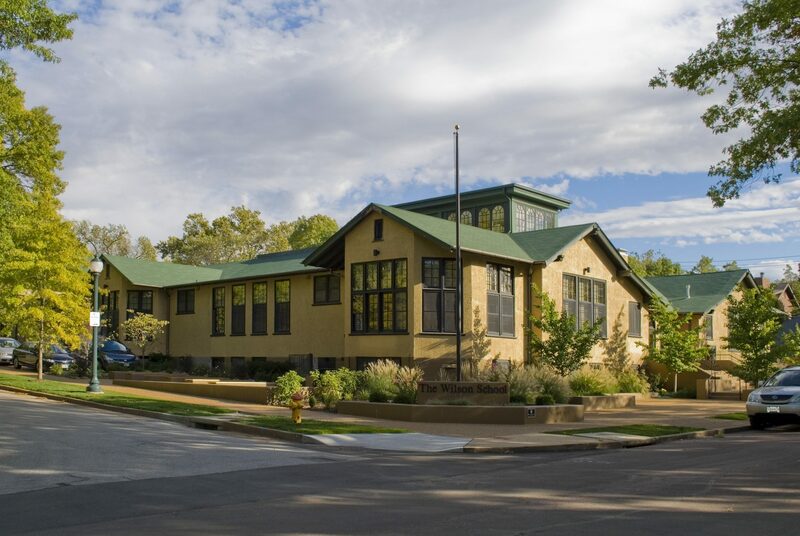 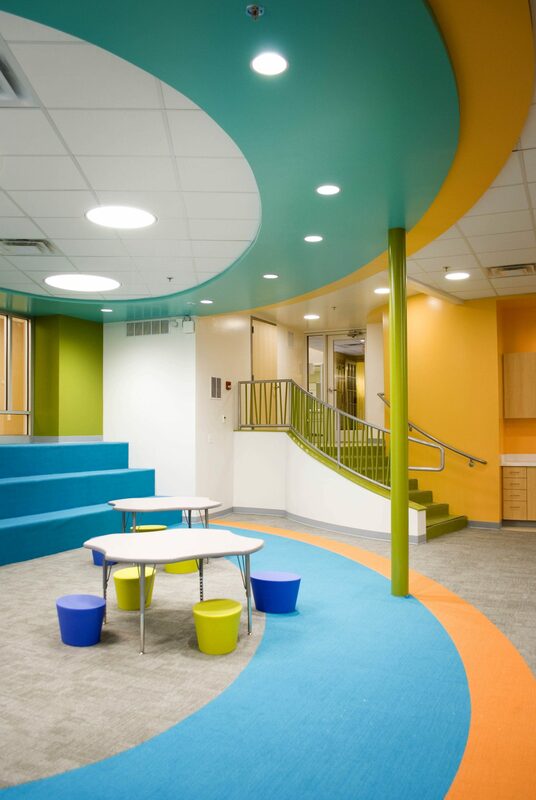 The Wilson School expanded their educational environment with a Lower Level excavation. 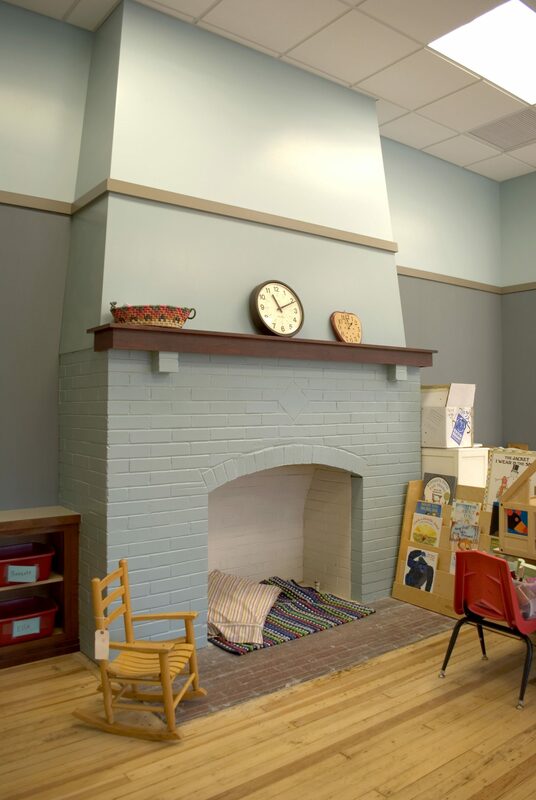 This project creatively added space to this land-locked building by utilizing a crawl space and old abandoned coal room. 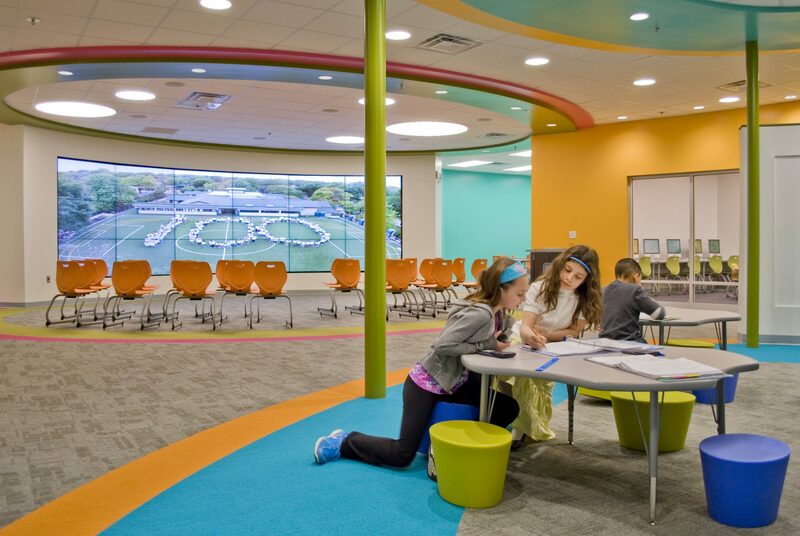 The Innovation Room is the heart of the lower level design. 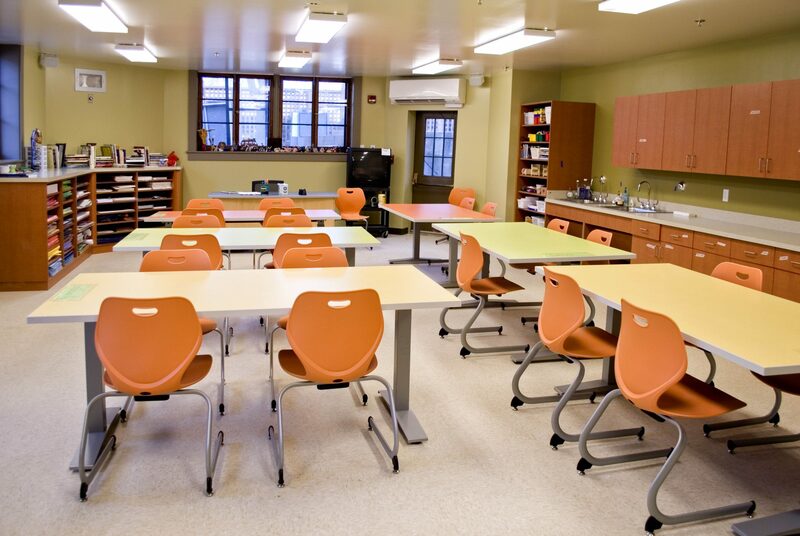 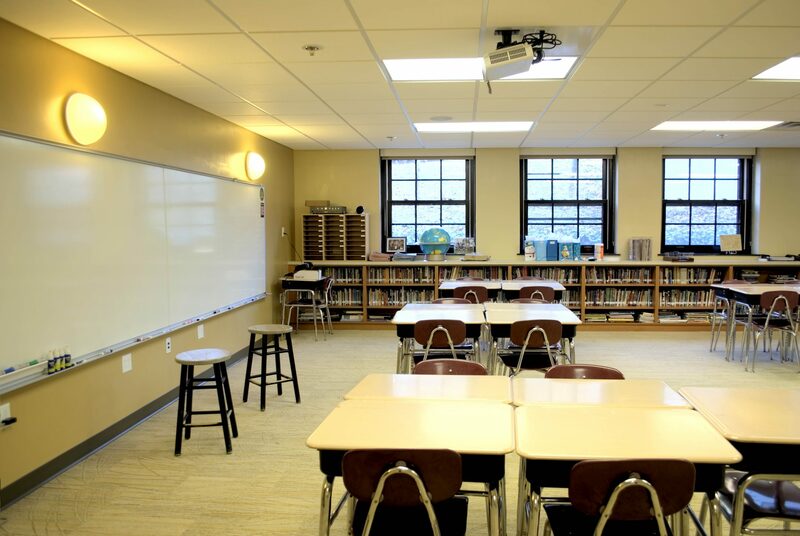 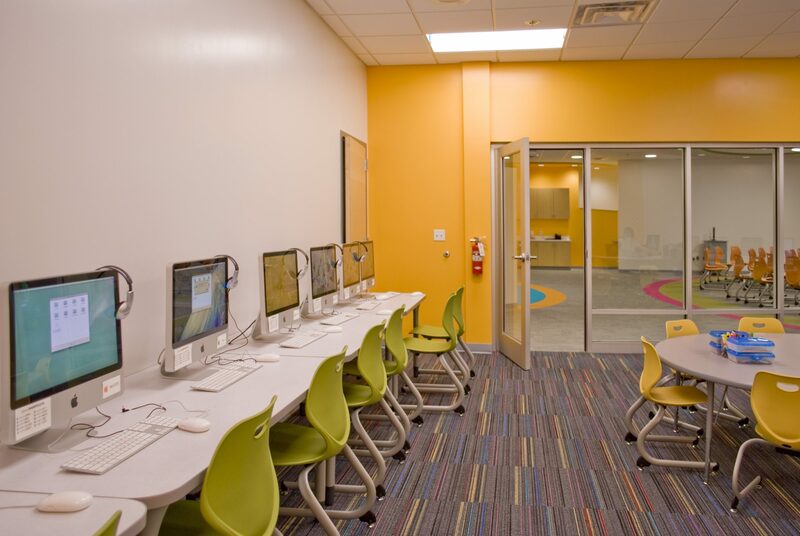 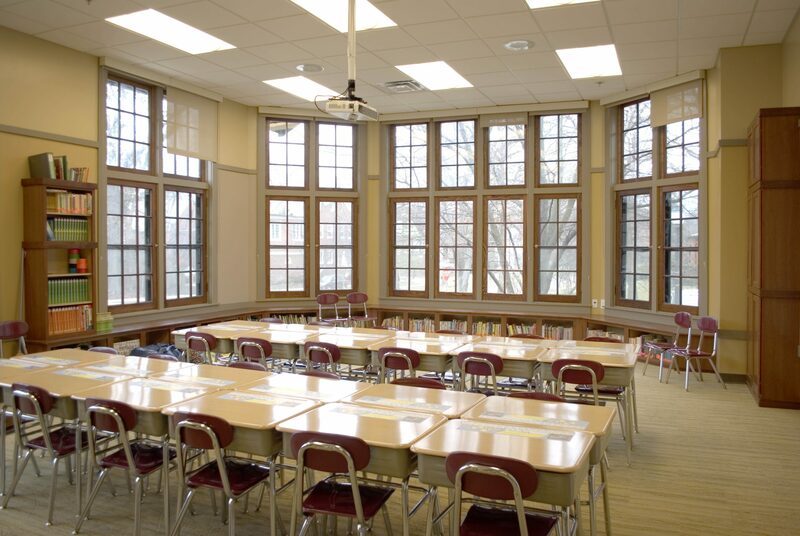 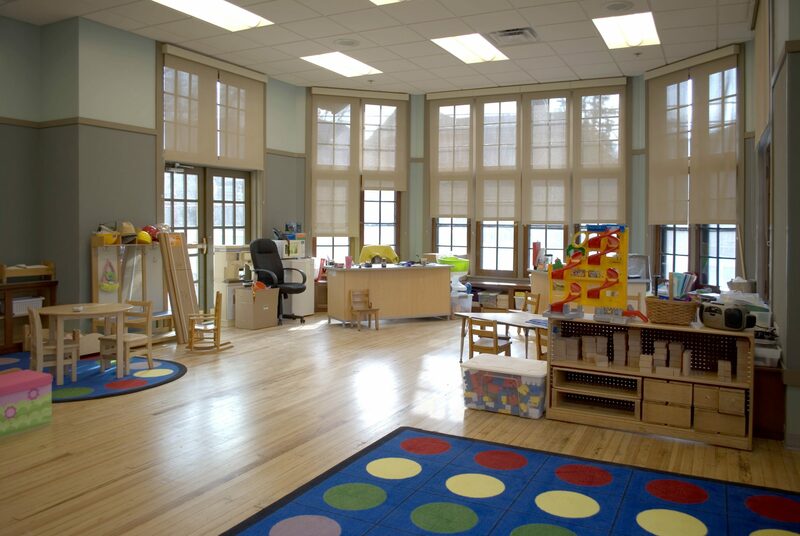 This high tech, state-of-the-art room is a truly flexible space, and is of immense value to the creative instruction of all curriculum subjects, across all grade levels. 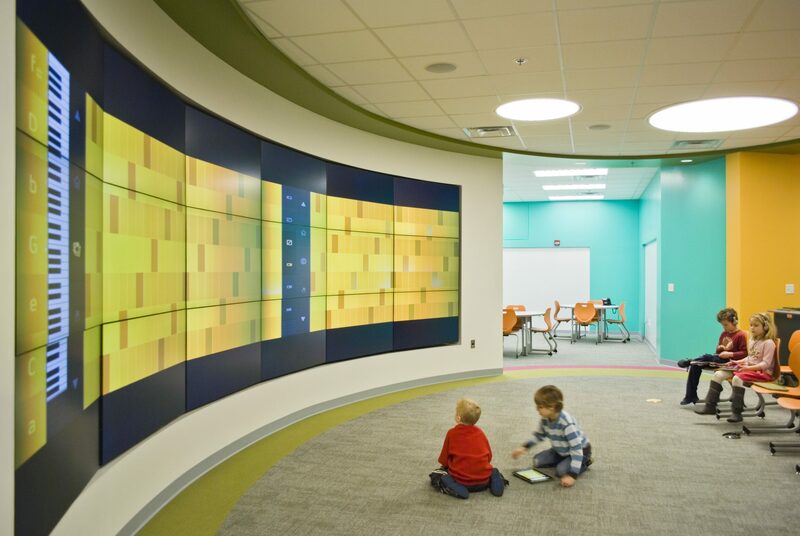 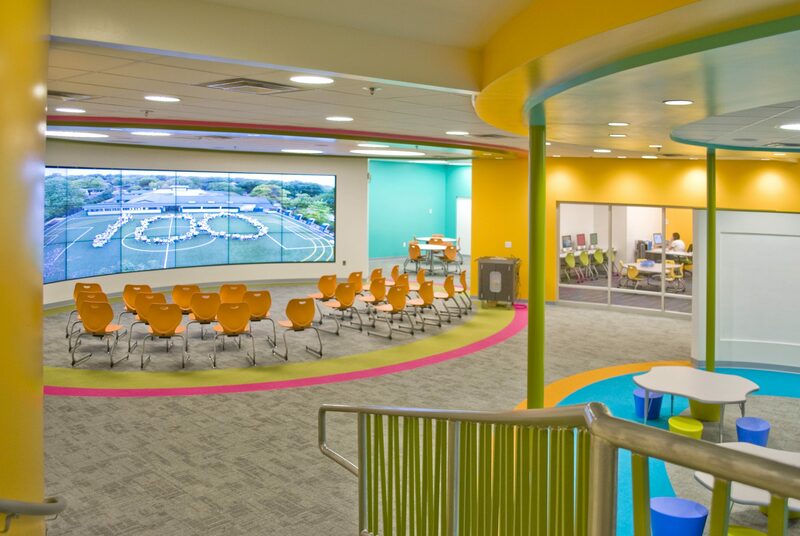 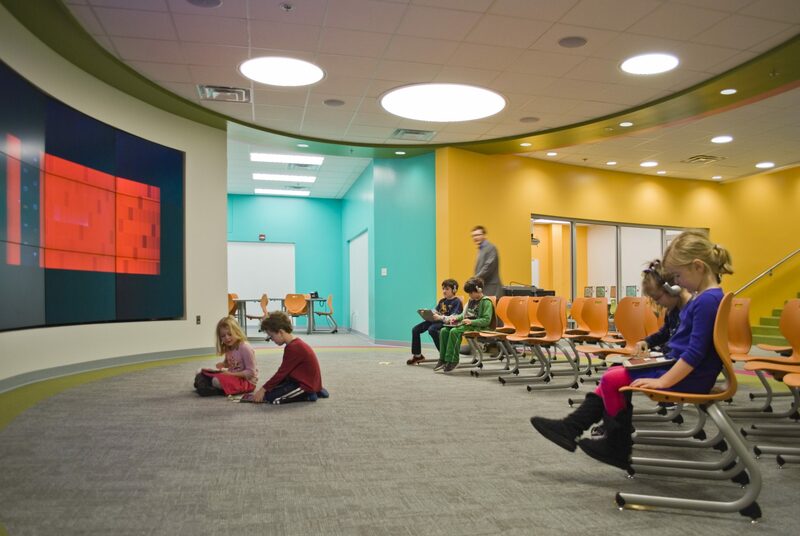 The centerpiece of the space is a multi-purpose flat panel video screen that makes up an “immersion wall,” which affords students the opportunity to connect with experts, participate in virtual field trips, collaborate, and experience virtual demonstrations. 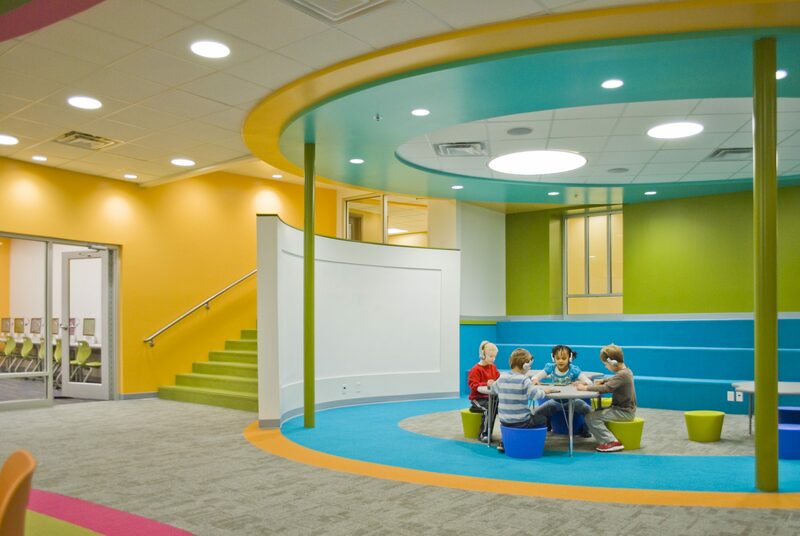 The Innovation Room facilitates group work and problem solving, and its versatile design allows it to be used in a myriad of ways. 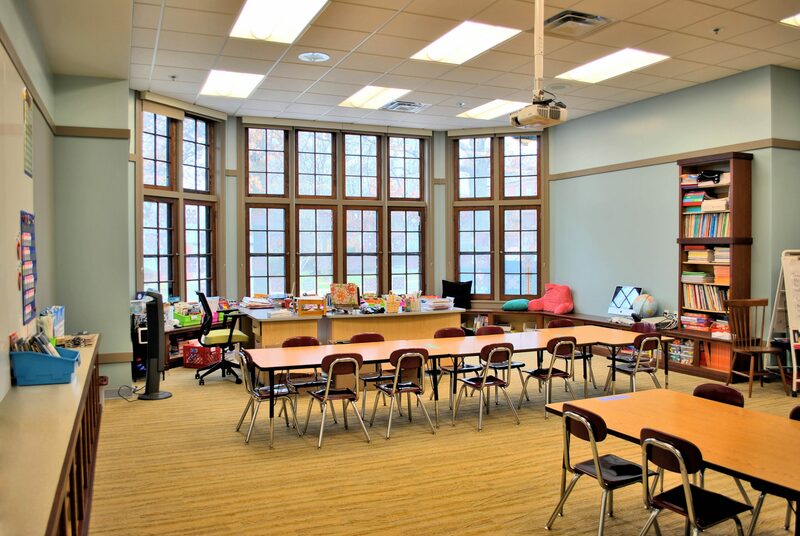 The Lower Level addition expanded the existing Foreign Language Classroom, relocating the adjacent Conference Room and upper level computer lab to the newly created space. 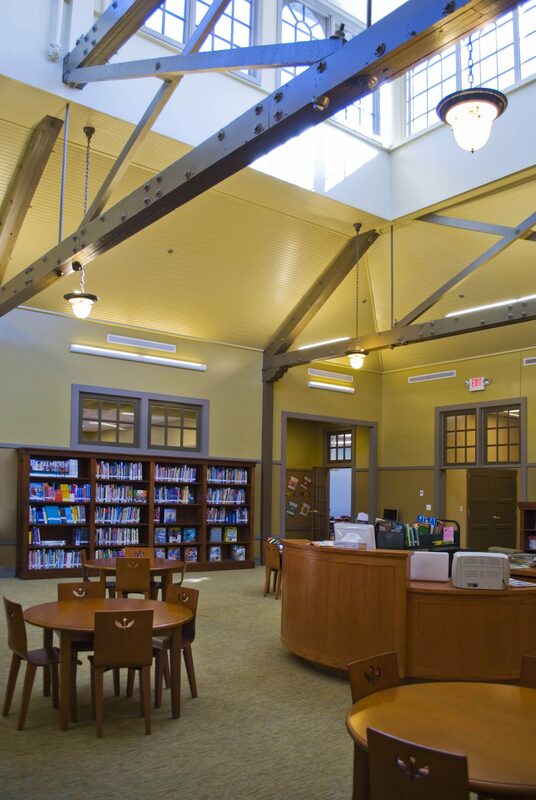 The Upper Level Library expanded to allow classes to conduct research or collaborative work, while a dedicated teaching space provides a space for uninterrupted instruction.